We’re a generation constantly pressed for time. 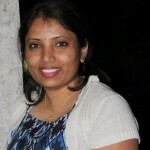 With so much on our plates, cooking healthy meals and working out is a tough affair indeed. Happily, sandwiches are the perfect dieticians and time planners rolled up in one package. Why settle for anything less than the best? 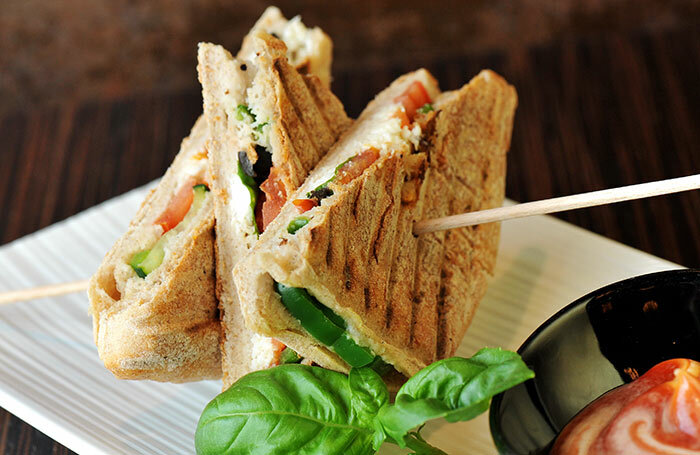 Come on and let us explore the ten healthiest sandwiches that keep you fit and healthy. A sandwich lets you have the freedom of eating healthy food on the go. 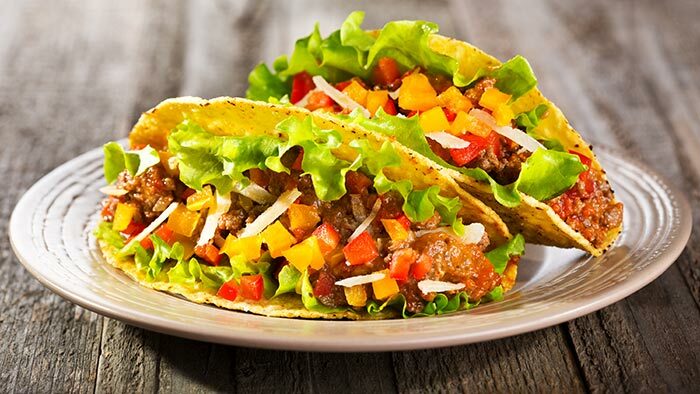 You can grab a bite as you rush to work or that urgent meeting. And yet, it need not be a boring jelly sandwich that does not contribute much to your stomach (or your nutrition). 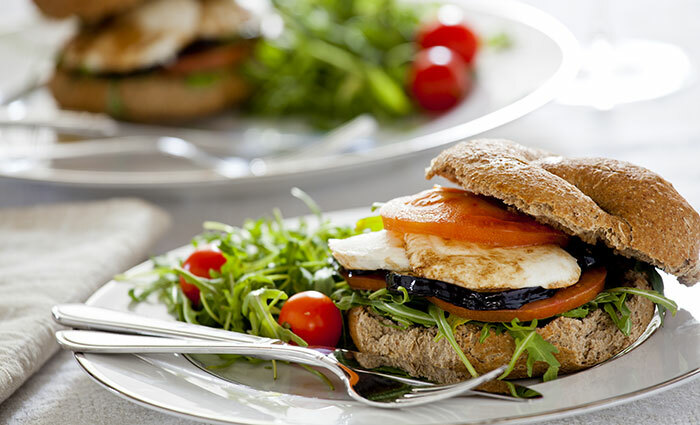 Healthy sandwiches can offer you nutrition and contribute to your weight loss too (1). You get more payback for lesser calories, without compromising on taste. 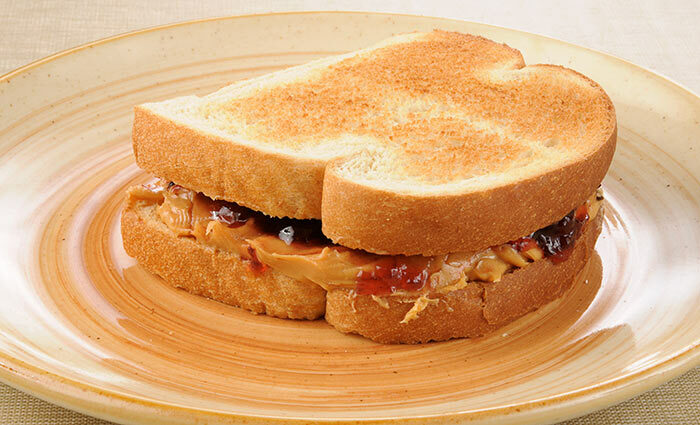 This one is no ordinary peanut butter and jelly. 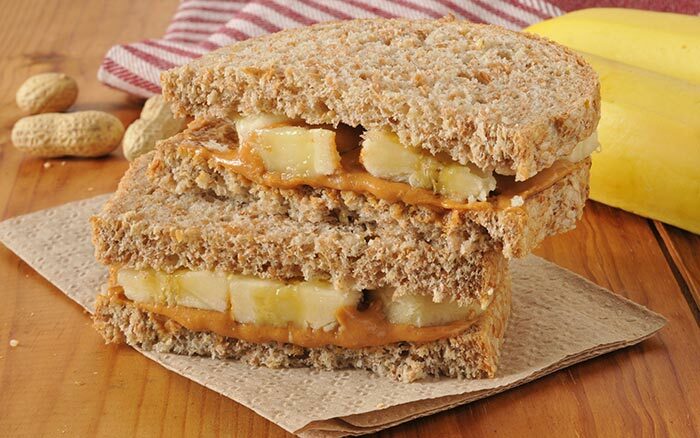 With the goodness of peanut butter and bananas, you know it’s good for you. It is delicious too and contains just 400 calories. Spread peanut butter on two toasted bread slices. Top the slices with banana slices and blueberries. Tuna has much to offer to your health, but has very little in terms of calories (2). This sandwich has only 420 calories, ideal for a filling lunch. 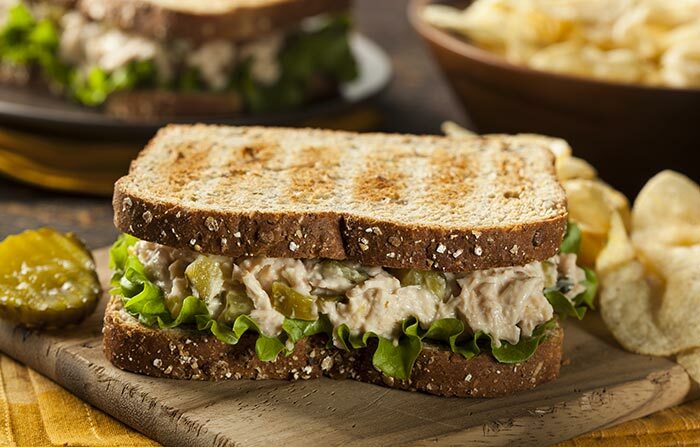 Pick up a cup of tuna salad from the local deli and save it. When needed, spread it on toasted bread slices. Add lettuce leaves, mayonnaise and enjoy the sandwich. Berries with their antioxidants, and almond butter with its many benefits, make this 390 calorie sandwich another good diet choice. Spread almond butter generously on one bread slice. On the other, mash and spread the paste of fresh raspberries like a jam. Place the slices together and cook it over a skillet for 5 minutes on low heat. 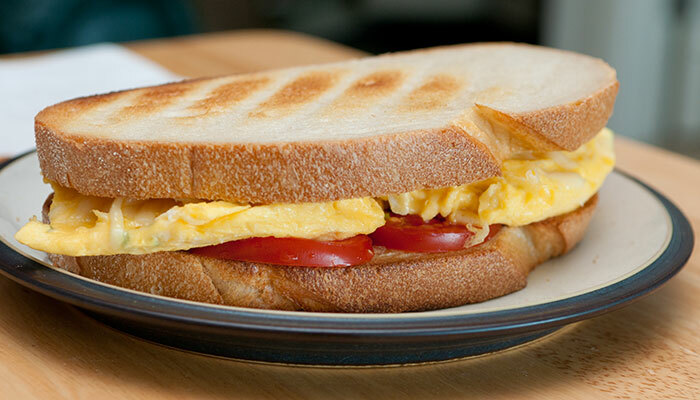 Turn the sandwich mid-way, and serve when evenly browned. This one is again bursting with healthful nutrients for just 410 calories. Apply olive oil on either surface of sliced eggplant and bake in an oven for 5 minutes. Spread the mozzarella on toasted bread slices, and place eggplant and tomato slice. Close the sandwich and enjoy. The sandwich offers about 500 calories, fiber, and a host of nutrients as well. Beforehand, grill chicken until thoroughly cooked. When you need a sandwich, add salt and pepper for taste and spread on one toasted bread slice. Place onion, tomato and lettuce pieces on the other toasted slice, close the sandwich and serve. 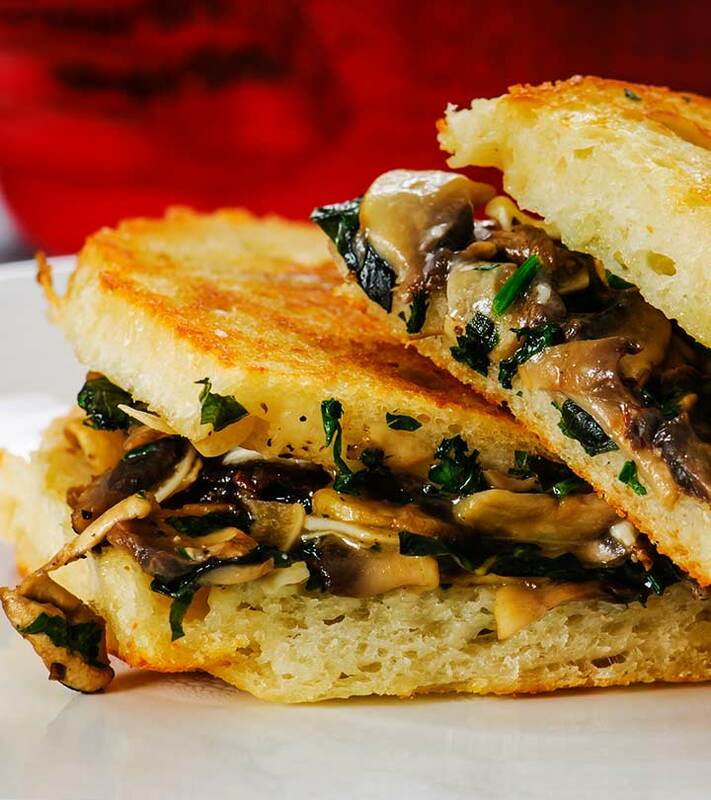 Worry not, this grilled cheese sandwich is not your traditional weighty type. Just with 300 calories, it has a lot to teach you. Bake your mushrooms and flavor them as you see fit. 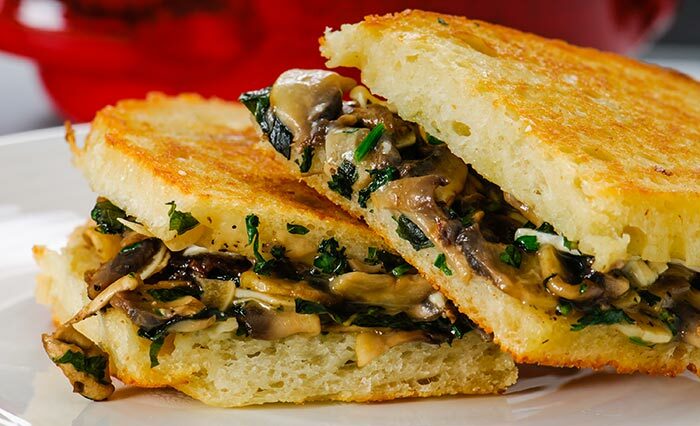 Later both bread slices with cheddar cheese, add the mushrooms and cook the sandwich on a grill pan without any butter. A healthy sandwich is ready. Eggs pack in all the proteins you need. With just 400 calories, you also promote weight loss. Firstly, make an omelet on a lightly greased pan. Add diced onions and peppers while cooking. When done, place the omelet on a bread slice, sprinkle grated cheese, place another slice on top and serve to eat. 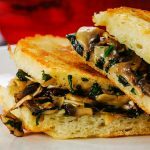 Nutritious, delicious and simple, you will feel really good eating this sandwich for weight loss. Mix all the ingredients in a salad. Place lettuce leaves on a bread slice, arrange the salad over the leaves, add 2-3 tablespoons of olive oil and lime juice for taste and sere. Chicken and corn imparts healthful additions to our body while giving us a flavorful recipe under 400 calories. Mix the corn and peas with chicken. Place a dollop on a lettuce leaf flavored with oyster sauce. Sandwich this preparation with bread slices and enjoy your lunch. 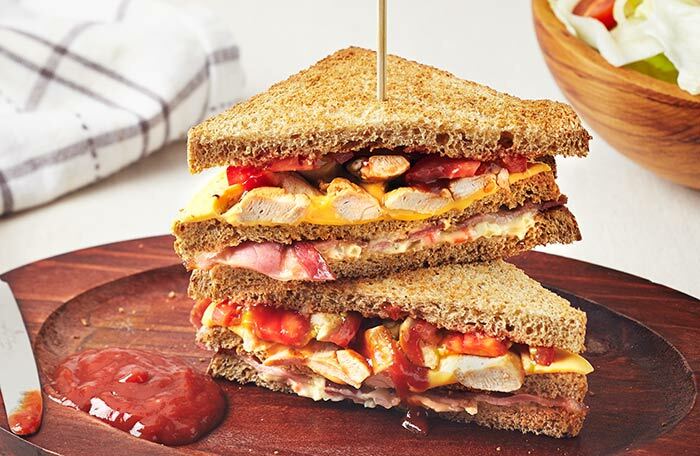 Filled with proteins, this is one of the healthy sandwiches for weight loss and is a dream come true for the calorie conscious. Lightly blend onions, celery and chickpeas and add salt, pepper, vinegar and lemon juice for taste. Meanwhile, roast the whole grain bread slices with spinach, caramelized onions and red peppers. Spread the earlier mix on the slices, and enjoy the sandwich. All of these sandwiches are about 400 calories, excellent to boost both your energy levels and metabolism. While you lose weight, you gain health. Sounds good? 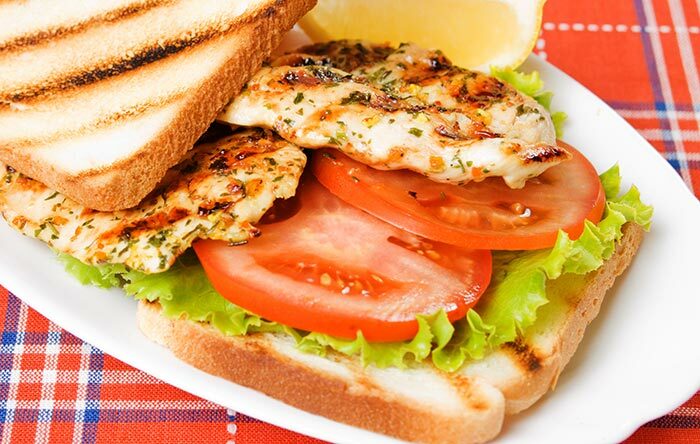 Do let us know if you know any other healthy sandwich recipes for weight loss by leaving a comment below.